The last post highlighted several companies in the alternative energy, conservation and environment technology fields that have delivered exceptional price performance over the last year. Prospects for growth in sales or earnings appeared to be key drivers of the price movement. It makes sense to seek indicators of growth as cues for those companies that may become tomorrow’s price movers. 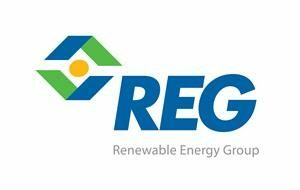 The two analysts who publish estimates for Renewable Energy Group (REGI: Nasdaq)apparently expect a surge in growth in the current year followed by a leveling off in the long-term. The forecast five-year compound annual growth rate is 15%. 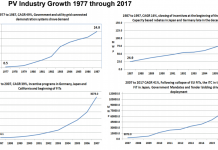 What is driving the growth? The company has just completed expansion of their biodiesel plant in Ralston, Iowa to 30 million gallons per year from the previous 12 million gallons. The Ralston plant is one of the company’s 13 biomas-based diesel refineries with a total effective production capacity of 565 million gallons per year. Renewable Energy took on debt to finance the expansion project. Total debt at the end of March 2018, was $332.8 million, giving the company a debt-to-equity ratio of 42.92. The leverage has helped drive return on equity to 21.4% in the most recent twelve months. The company is profitable, delivering an 8.0% operating profit margin. That should help pay down rent. Broadwind Energy (BWEN: Nasdaq) has won attention from only one analyst, but that individual has a great deal of confidence in the company prospects in the wind energy industry. Expectations are for growth to accelerate next year to over 800% following by a leveling off to 24% compound annual growth over the next five years. The company manufacturers towers used for wind turbines as well as industrial applications. Broadwind recently booked $10 million in new tower orders. While Broadwind’s topline shows great promise, profitability has been an issue for the company. Operating cash flow has not always been positive. In 2017, operations used $9.4 million in cash resources. Fortunately, the previous year had been a year of strong cash generation with operating cash flow totaling $17.3 million. Broadwind shares are trading closer to its 52-week low price. If growth unfolds as is predicted by the consensus estimate, strong comparisons should help drive the stock price. Aerovironment (AVAV: Nasdaq) produces energy efficiency systems and unmanned aircraft. The consensus estimate suggests the five-year compound annual growth rate is expected to be 30%. This represents nearly a tripling in growth compared to the last five years when growth averaged about 10% per year. In April 2018, the company introduced a new charging system for electric forklifts. Aerovironment also won orders from the U.S. Army for its Switchblad Lethal Miniature Aerial Missile System. Total hardware awards were $67.8 million with deliveries beginning in December 2017 and extending through September 2018. An additional $43.3 million in service contracts were also signed for a period of three years. Aerovironment earned a 12.4% operating margin in the twelve months ending January 2018. Sales-to-cash conversion was 10.4%. With a business model with this level of efficiency, new orders translate to strong earnings. 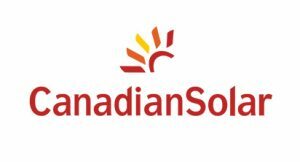 Analysts have predicted a 34% five-year compound annual growth rate for Canadian Solar (CSIQ: Nasdaq). This represents a significant pick up in pace from the last few years. 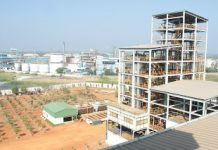 The company’s 35 megawatt solar portfolio in India reached commercial operation in March 2018. Canadian Solar is not stopping there. 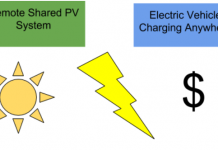 Construction on an 8 megawatt solar project in South Korea will begin in early 2019. 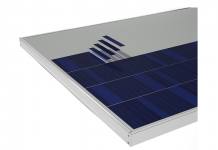 The company is the top foreign solar module source in South Korea. The two projects are exemplary of Canadian Solar’s expansion in the global solar power sector. Canadian Solar earned an operating profit of 7.9% on $3.4 billion in total sales in 2017. The company is well leveraged with a debt-to-equity ratio of 234.82. This has helped drive return on equity to 10.5%. Fundamental successes have helped drive the CSIQ stock price to a level just off the company’s 52-week high. As CSIQ price movement reveals, growth prospects alone cannot be the early indicator for investors. Relative value may be as important. In our next post we look at company that offer strong value.